“China’s population of Internet users has risen by 30 percent over the past year to 132 million, a state news agency said Friday.” reports Associated Press. ” The figure was up from 123 million at the end of June, the Xinhua News Agency said, citing the government’s China Internet Network Information Center. 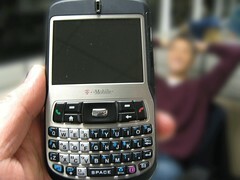 It said the number of Chinese customers with broadband access has grown to 52 million. The rapid rise in Internet use has propelled growth in China’s online commerce, advertising and games industries, the Internet agency said. You do know that there are more internet users in China than all of North America combined already. Some other global stats are here. Steve Rubel of Edelman (who’s firm has been the posterboy of how to botch up Social Media this year) proclaims that Social Media is no more. (many a juicy comment) He suggests that Social Media is moot, as nearly all online vehicles have two way mechanisms. “…I use Rubel as an example all the time of someone who blogged his way into big things. Whatever you think about his views on PR & social media, he blogged and blogged and blogged and assumed a central position in the discussion. I think with his new role, maybe he’s just too busy to be as engaged, but the blog has suffered. This post is a marker of just how off the path it is. Brian Solis shines some light on global usage and mainstream adoption. David Armano provides a handful of reasons why traditional media has not fully accepted social media, so why should we? I can’t but help wonder if this is a diversionary Smokescreen in light of the Microsoft Laptop fiasco. Jeremy Pepper elludes this is a classic PR smoke screen, if you’ve not heard Edelman is yet under fire for this latest Ferrari Laptop Microsoft fiasco where they’re been accused of bribing bloggers. Has Steve responded yet to this mix up? My focus is on Corporate deployment of Web Strategies. I promise you, Senior Management at many Fortune 1000 companies still lack awareness, strong belief in Social Media or resources a large percent of budget. Social Media is more than adding trackbacks and comments to a press release, it’s about accepting that bottom up knowledge from the masses can be greater than top down control. I myself am wanting Social Media to be accepted in many forms across the enterprise and up and down the ladder, but to this date, Social Media is not dead. I was treated to lunch by former Colleague at Hitachi Data Systems Rasha today. She was involved in the strategy group at HDS, and is now involved in the strategy department at SAP a few blocks away from PodTech. We had some interesting conversations on how Social Media is impacting many different businesses from Enterprise Storage to even the ERP/CRM space. She’s been aware for some time that Social Media impacting nearly every line of business, politics, and information. I’m sure we’ll be talking again. She showed me some killer pics of her most recent trip to her birthplace in Egypt, hopefully she’ll post the pics online and leave a link in the comments here. Rasha was known for being involved in the New Orleans relief process, pretty cool gal. See you around Palo Alto! A new friend caught me drooling over his next gen smart phone comes embedded with Wi-Fi, letting it connect to other Mobile hotspots reports cnet. I guess this is a win for Starbucks. I hear after rebates the price for this T-Mobile Dash is a equivalent to buying 50 Grande Soy Mocha Frappa Macchiatos (a total value of $200). 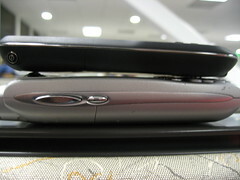 Below: Don’t get too excited about this picture, it’s just an example of the size difference between a Treo 650 (bottom) and the T-Mobile Dash (top). Have you seen my mobile phone pics from Japan? Some have some fascinating stylish designs, while others have real time video conferencing. Have you seen instructables? Similar how to concept that is user generated and network voted. –Image: The Future of Games, or at least what they thought in the 70s perhaps?